Kim Jong Un says he is ready to sit down again with President Donald Trump — but also warned the United States against imposing more sanctions. 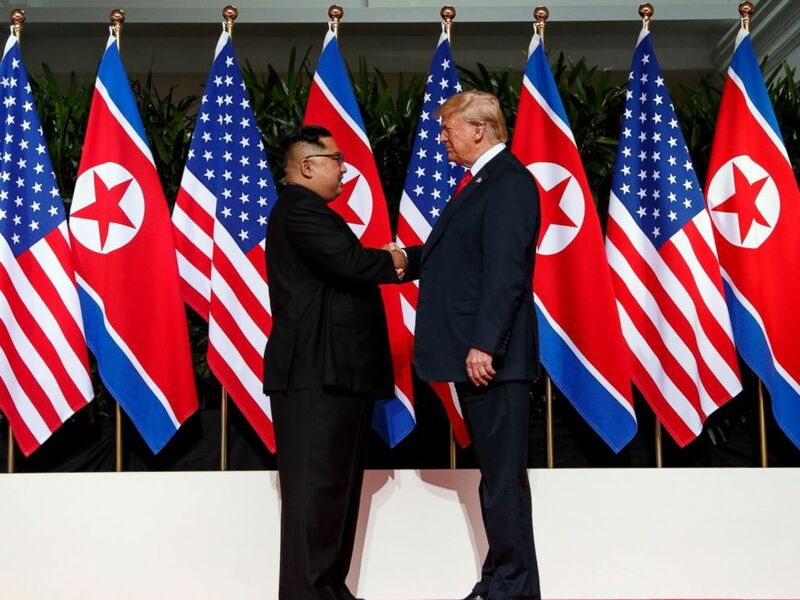 Kim and Trump met in June in Singapore for the first time in the history of the rival countries. In the months since the historic summit, leaders from both countries, including U.S. Secretary of State Mike Pompeo, have been trying to negotiate a second meeting between Trump and Kim. Both countries, however, have been at an impasse about the progress of denuclearization. Kim, meanwhile, also called for stronger ties with South Korea and announced a willingness to resume two inter-Korean cooperative projects in the North — Kaesong Industrial park and Mount Kumgang tourist resort — which had been halted due to strained relations. 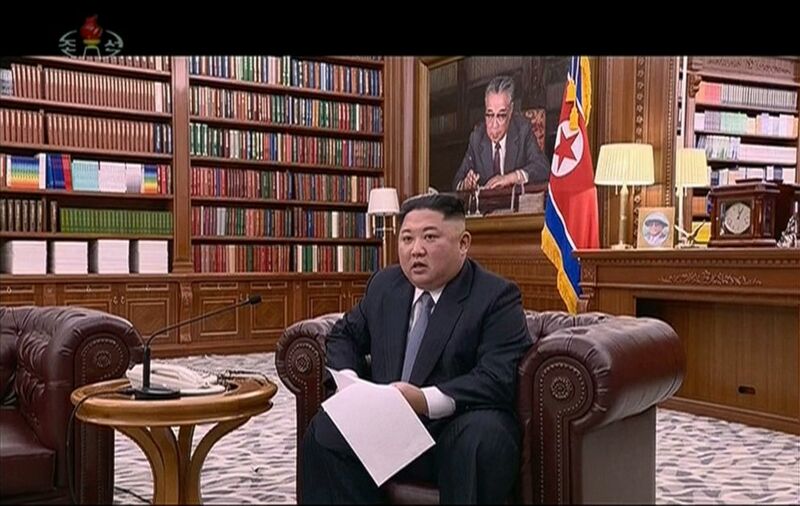 In this undated image from video distributed on Tuesday, Jan. 1, 2019, by North Korean broadcaster KRT, North Korean leader Kim Jong Un delivers a speech. Neither of those are currently possible for South Korea unless sanctions on the North are removed. “Kim is hinting that if things come to worse, North Korea could go back to the economic-nuclear dual path,” Cheong Seong-chang, director of unification strategic studies program at the independent Seoul-based think tank Sejong Institute, told ABC News. Kim’s speech came against the backdrop of a new look with a modern setting — a carpeted library full of books, plush leather sofa and an armchair set with a mega-sized portrait painting of his father Kim Jong Il and grandfather Kim Il Sung hanging on the wall — a sharp contrast to his usual stiff public speeches at a podium in front of tens of thousands people who dutifully respond with thunderous applause. “It looks like he wanted to show off” that he is ready and recharged to deal with the international community after the June summit, Cheong explained. The new look also comes in the wake of three summits — two at the border town Panmunjom and the latest in Pyongyang — with South Korean President Moon Jae In, Cheong added. ABC News’ Hakyung Kate Lee contributed to this report.